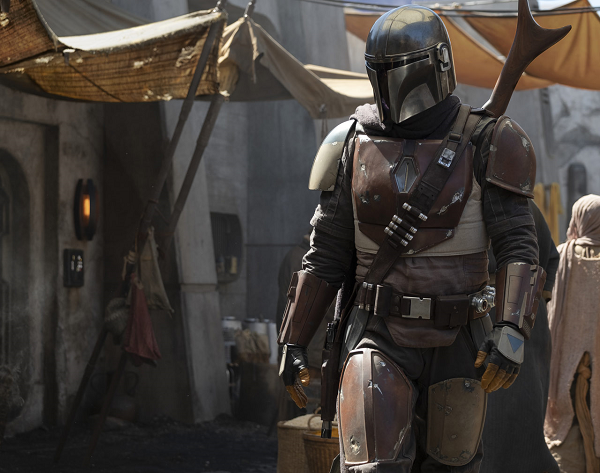 First image from "The Mandalorian"
Just as the details were released for the upcoming live action Star Wars series, “The Mandalorian”, was released by Jon Favreau, StarWars.Com has just revealed the first image! The image of the “Mandalorian” should bring some joy to fans and relief to the “non-believers”. Besides the great production, director and writing credits, this image is showing (although limited) amazing production value. 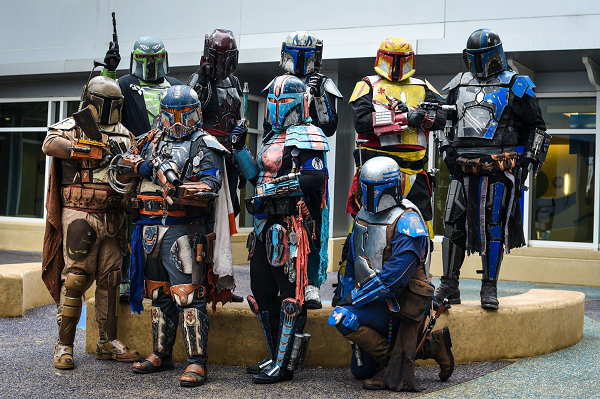 As I surmised in my article yesterday with the first announcement of the new series, I was sure the cosplay group, Mandalorian Mercs, would be in full celebration mode after hearing the news. So what better way to find out than to ask them directly. That’s what I did. Ian “Chro” Anderson, Head of Social Media Mandalorian Mercs Costuming Club, agreed to talk to Star Wars Reporter about the new Star Wars series and the Mandalorian Mercs Costuming Club. 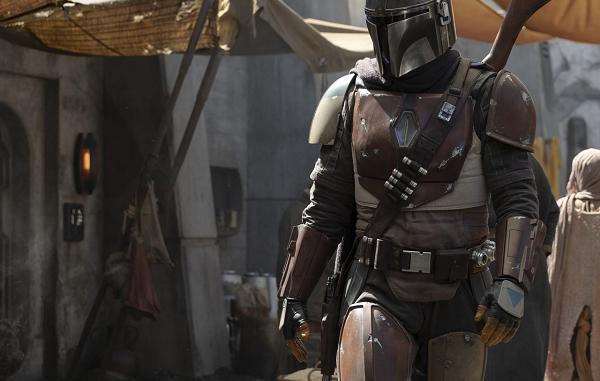 How excited are you about the Jon Favreau Mandalorian series? Ian: We are incredibly excited! Its awesome to hear that the main character of a series is going to be Mandalorian, and some kind of fringer as well instead of tied to the Empire, Rebellion, or Republics. How do you want the series to portray the Mandalorians? Are you hoping to see a more “human” side like we’ve seen in books and Star Wars Rebels instead of just the “warrior”? Ian: Naturally we all want at least a little of the Warrior side of a Mandalorian gunfighter, but seeing what makes the character tick, their motivations, is going to be fun. Pair some nice character development with blasterfire and explosions and we’ll be happy. Seeing Sabine develop along with showing us the people of Star Wars Rebels’ Mandalorian Clans were some of the best moments of that show. What is it about the Mandalorians that makes them so appealing to fans? Ian: Mandalorians appeal to many fans who don’t look to join sides. Mandalorians have been seen as a cool third option from the moment we first saw Boba. We’re not always the ‘good guys’ yet not always the villains either. Just simple people trying to make their way in the universe. The costumes appeal because of the immense level of customization and creativity you can play with. Unlike Stormtroopers or Rebel Pilots we don’t have a uniform that has to be worked around, just a basic layout of armor. The 501st Legion and the Mandalorian Mercs are used in so many fan films and more. Have the Mercs been asked to take part as extras in the series? If not – are your fingers crossed? Ian: We haven’t been asked in any official capacity, or even an unofficial one, but any of us would head out to the set in a heartbeat just to be an extra in a cantina or battle scene. That’s the dream of any Star Wars fan, especially costumers. Star Wars fans have a large and devoted fan base that are very critical of anything produced by the studio or fans. Do you have any reservations at the upcoming series or are you “In Favreau we trust”? Ian: For the most part: In Favreau We Trust. We’re a little wary of pacifist takes on Mandalorians, and we hope the costumes and armor we see will be a match for our imaginations, but as long as we get a Mandalorian in armor blasting around the galaxy we’ll be satisfied. In this galaxy, how can fans join the Mandalorian Mercs? What experience do you need to be able to create your own armor? 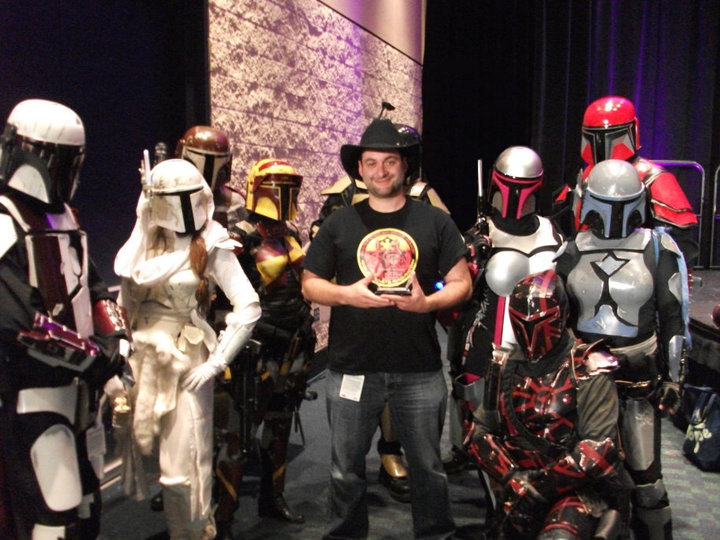 Ian: We recommend anyone who wants to join the Mandalorian Mercs Costuming Club head over to our website and join our forums at www.mandalorianmercs.org. No costuming or crafting experience is needed! We are thrilled to have new recruits and are always ready to help people build, assemble, or buy their armor. We are all over the United States, Canada, and in many other countries across the world, and are growing daily. Besides the cosplay element of your group, what other activities do you take part in? -Provide gifts/funds to children and families in need during the holidays. -Benevolence donations to help fund local non-profit charity organizations. -Benevolence donations to help fund youth outreach programs. Charities aside, we enjoy joining in local parades and conventions, and spreading our love of Star Wars and Mandalorians around as much as we can. How much do you want a Boba Fett film? Do you think the success of the Mandalorian series will ensure that film? Ian: We all want a Boba Fett movie deep down. A movie about our favorite bounty hunter doing what he does best would just be amazing, but we’re willing to wait. If the show takes off we might have the best shot ever to have it made, but we’d accept an Obi-Wan movie too.